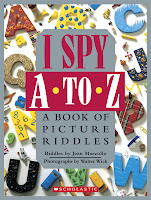 The I Spy book series has provided many hours of entertainment for young children over the years. The A to Z collection is a representative set of some of the previous I Spy books. Here is a wonderful array of still life photographs jam-packed with kid-focused objects that will delight the young in all of us. The 46 treasure-hunting photos are accompanied by easy-to-learn rhyming couplets, each of which details specific items to find in the photographs. Of course, there are plenty of other items in the photos to spark conversation. In the introduction, author Jean Marzollo provides coaching for parents and teachers on how the book helps develop pre-reading skills. Some of Walter Wick's photos picture scenes that are as carefully staged as any movie set while others are a fabulous montage of objects old and new. This book is sure to become one of the most loved in any child's library. Be sure to check out the official I Spy website! Now for the Prize Giveaway! Wii Video Game "Ultimate I SPY"
Board Game - "I SPY Memory Game"
I SPY Treasure Hunt - one more great book adventure! So, How to Enter for the Giveaway? So simple. Leave a comment here to enter. Be sure to include a way to get in touch with you in case you win. Contest is only open until July 4th so be sure to enter right now! Sorry, but only continental U.S. readers are eligible. I Spy was a favorite game for us as kids, and we still play today, especially on cross-country road trips. 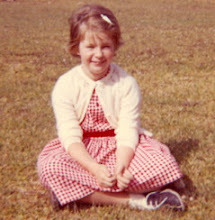 Thanks so much for bringing to mind such fun memories and for the encouragement to continue spying long into the future. Q and Z will always be my favorite letters by the way. What about you? Our son (and I!) would love this. Thank you. My email address is clickable from my profile. we would LOVE this! looks so fun! My son would love this! He doesn't have any I Spy books...yet, but he does have some Look and Find ones and he loves them. He also loves the seek and find computer games I have, so I'm sure he would love the I Spy just as much. My whole family would LOVE this!!! The kids would love this! Thanks for the game. We absolutely love I Spy! What a great prize package. Thanks. My kiddos would LOVE this! Thank you for the chance! Looks like an awesome prize pack, please enter me into this drawing. I Spy--I loved it as a kid--and love sharing it with my kids--can't beleive it is a game too? We like the books--they can keep us occupied at the doctor's office while we wait! My husband and son love reading I Spy books together and this would be a great addition to our book collection.